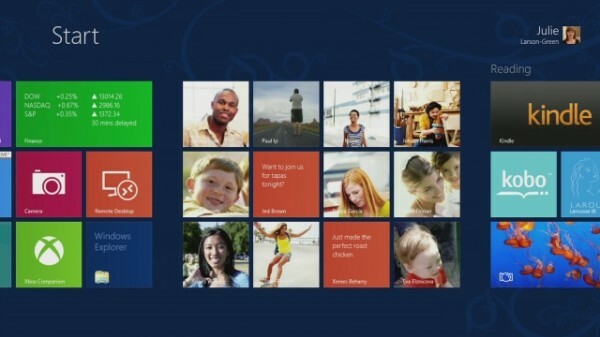 One of the most annoying things about Windows 8 is the new Start screen. It’s provoked a marmite-like response, but Microsoft has made it clear that it’s here to stay. That in itself doesn’t make it the end of the world, but the need to have to click the Desktop tile or press [Win] + [D] after logging on in order to access the classic desktop we all know and love is. Fear not, however, as the good folk of WinAero.com have come up with a solution that works both now and in the future. The fix? Skip Metro Suite 1.0.0. Skip Metro Suite’s primary function is to get you to the classic desktop after you log on to Windows 8. Perhaps wisely, considering Microsoft’s tough action on anyone trying to bypass or ditch the Start screen, Skip Metro Suite doesn’t appear to do anything remotely clever or naughty to achieve this aim. Instead, once installed, you reboot, log on to Windows and the Start screen briefly appears before giving way to the classic desktop. It’s not as elegant as not having to see the Start screen at all when you log on, but it’s workable and likely to keep working beyond the RTM and Release Preview builds it’s been tested with (we used it with the RTM build with no issues at all). Skip Metro Suite also offers some bonus functionality too: fed up with rolling your mouse to the top left or right-hand corners of the screen? No problems, just open the Skip Metro Suite configuration pane, then tick “Disable Top-Left Corner (Switcher)” and “Disable Charms Bar” to switch those hot spots off. Better still, you can still access both the task switcher and charms bar with the appropriate keyboard shortcuts, namely [Win] + [Tab] and [Win] + [C] respectively. Both features work without having to reboot your computer, can be switched off as easily as they were switched on and make Skip Metro Suite that little bit more essential for old-school users frothing at the mouth every time they’re presented with the Start screen. Skip Metro Suite 1.0.0 is a freeware download for PCs running Windows 8 Release Preview or Windows 8 RTM.